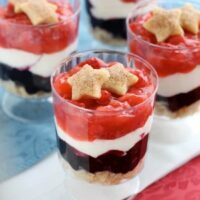 Red White and Blue Pie Parfaits - Dessert Now, Dinner Later! So, I have another confession to make. I do that a lot on here – confess things. They are mostly food confessions, but where better to talk about food than on a food blog? I love pie! Especially fruit pies, and I absolutely love pie crust! The buttery flakey pie crust amongst thick, chunky fruit glaze is the best! 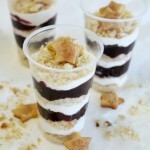 So, I thought it would be fun to deconstruct a pie into these parfaits! 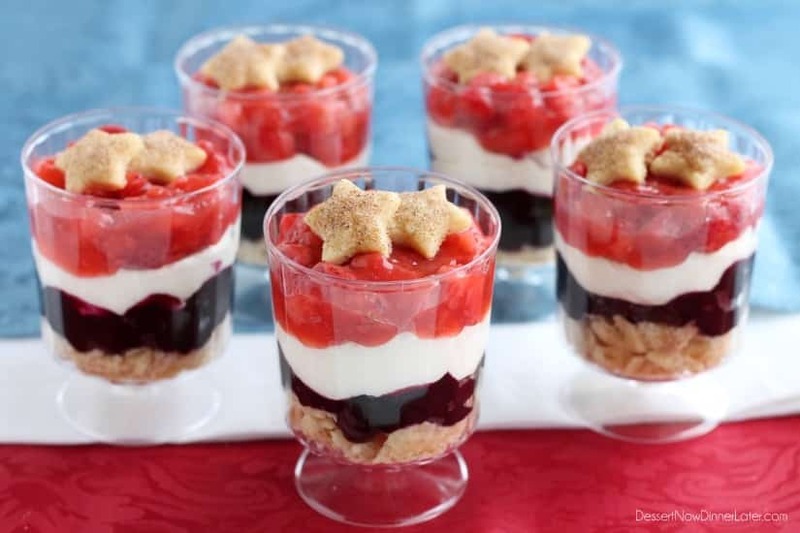 And since it’s a holiday weekend, why not make some red white and blue desserts? Hence, the strawberry and blueberry pie fillings! 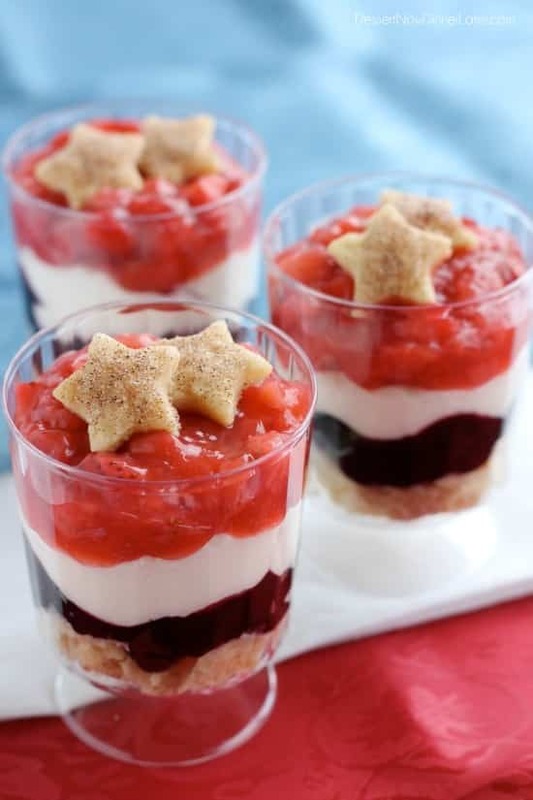 My only suggestion would be to put a little more pie crust on the bottom and a few more stars on top. I like my ratio of crust to fruit to be a little more like 2/3 fruit to 1/3 crust. 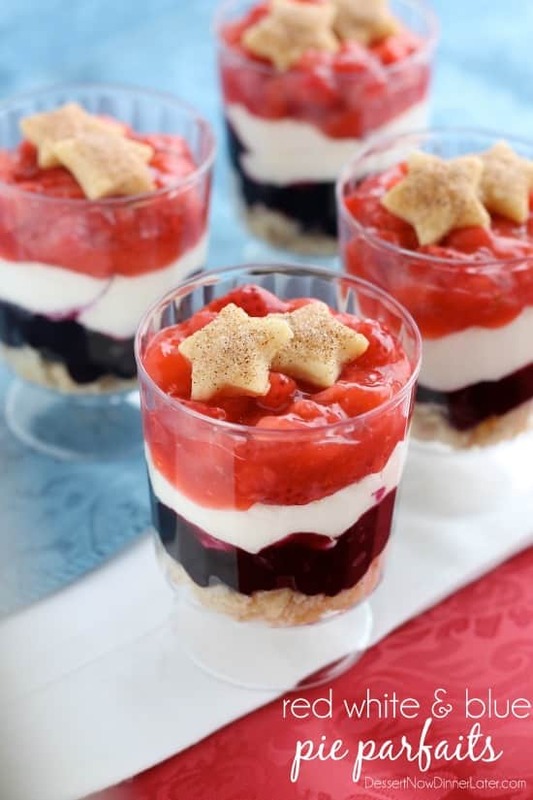 These parfaits also have a no bake cheesecake layer right in the middle, so it’s creamy and fruity! YUM! You’ve got to keep these treats in the refrigerator, but I totally ate one for breakfast the next day. Think of it as a glorified breakfast parfait! Anyway, how fun would it be to serve these for a family gathering over this memorial day weekend?! 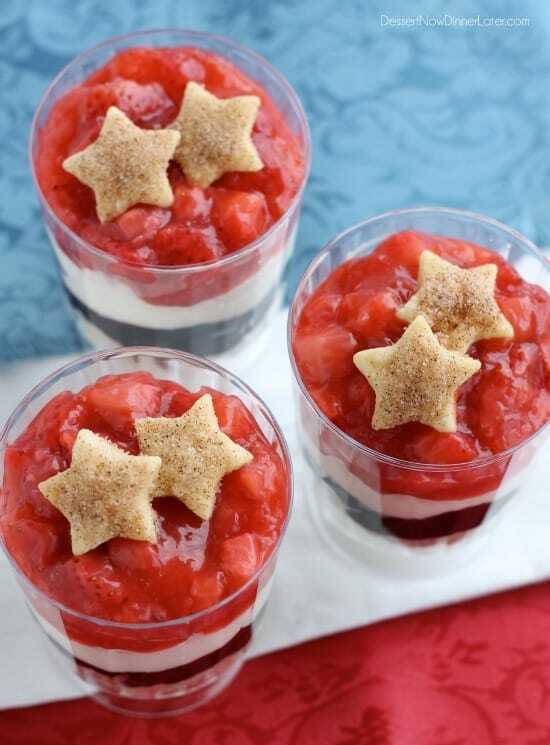 If you already have your plans set, save the recipe for your 4th of July party! Either way, these parfaits can be prepped ahead of time and brought out of the refrigerator when you are ready to serve! We loved these! For the pie crust: In a bowl, combine salt & flour. Cut Crisco into flour mixture with a pastry blender or fork until shortening pieces are the size of a pea. Add egg, water & vinegar and work dough into a ball. Flatten into a disc, double wrap with plastic wrap & let sit in the freezer for 10 minutes. 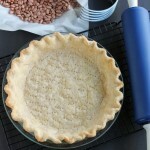 Remove pie crust from freezer & roll out to about ¼" thickness on a floured surface. Cut out at least 15 stars (30 is better and uses about half the crust). 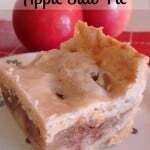 Place stars & extra pie crust onto an un-greased baking sheet. Sprinkle tops with cinnamon sugar & bake at 350 degrees Fahrenheit for 10 to 15 minutes or until light brown. Remove from oven & cool completely. For the whipped cream cheese: Place cream cheese & sugar into a medium sized bowl. Beat with a hand mixer until sugar dissolves. Add cool whip & beat on high until the beaters leave ripples in the cream cheese mixture. Keep cold until ready to assemble. To assemble: Place all fillings in separate zip-top bags. Cut off one corner from each bag to be able to pipe the filling into the cups. Break up the pie crust, except the stars, to make crumbs. In small, clear, 5 oz plastic cups, layer with crumbs, blueberry pie filling, whipped cream cheese, and strawberry pie filling. Place stars on the very top layer for decoration. Enjoy! I got my 5oz plastic cups at Dollar Tree. The label said, "water glasses." These are so cute, Amber! I love individual desserts and don’t make them enough. Thanks for sharing and inspiring! You’re so sweet Julie! Thanks for stopping by! Have a great weekend! I wish I still lived in Utah so I could see you on Studio5! How fun! These are adorable! Where did you move to?! And you can totally watch it live online, by the way! Thanks for your compliment! 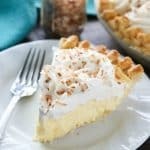 I’m not a huge pie fan.. because of the crust – so the way you’ve got it (without the extra stars and crust) would be exactly how I would love it! These look delish! I need to somehow convert you to pie crust! Haha! I love this! The stars are such a fun touch! I know, the stars are my favorite part! These are so cute, and sound so delicious too. Mmm I want one for breakfast! Love these! Having a Memorial Day party this weekend and these will be perfect! Thanks for sharing!